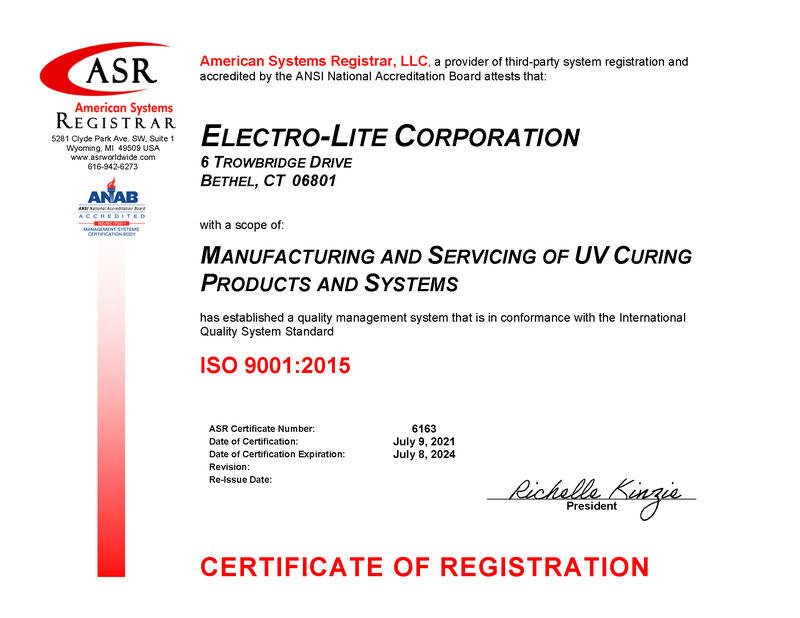 Electro-Lite Corporation is now a major supplier of UV light curing systems and single part UV initiated adhesive to the electronics, medical, optical and board manufacturing industries. Electro-Lite offers a complete line of spot and flood UV curing systems as well as Acrylic and Epoxy based adhesive for parts bonding, potting, coating and sealing. These and the many other advanced capabilities Electro-Lite has brought to the forefront of UV technology confirm why we are now known as one of the most respected names in the industry. Electro-Lite continues to achieve name recognition and a reputation for innovation and reliability in manufacturing quality products. 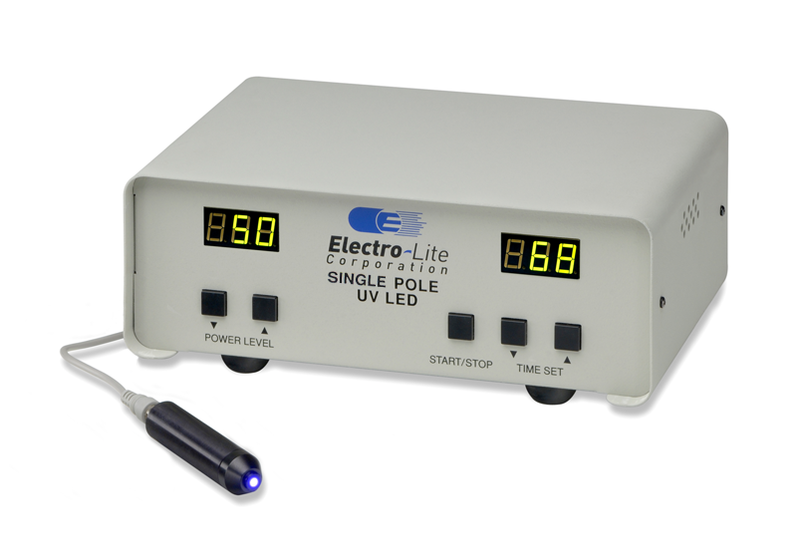 In the last year, Electro-Lite was the first in the UV products industry to announce the availability of a high intensity, portable, hand held UV LED 365nm curing system. Recently, Electro-Lite formed several close alliances with major UV system integrators to enhance services for customers with a need for a total systems approach to UV processing while adding an Application Lab for bonding process feasibility studies. The combination of these two services now avails Electro-Lite customers of a single source solutions provider for all their UV manufacturing processes.